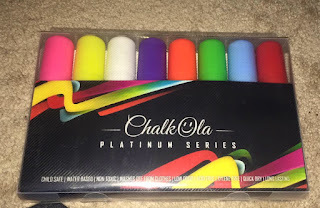 I've tried a few different chalk markers and each was a little different. These were much easier to prime than other brands I have had. 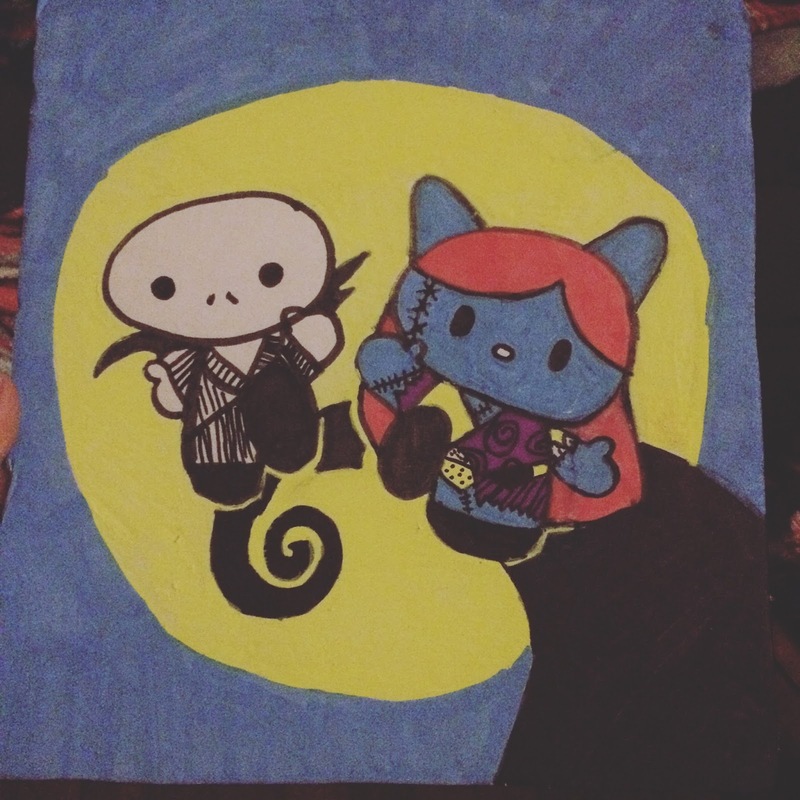 All except the black that is, that one took forever to prime in the small markers. The large ones are amazing for filling in large open spaces. I spent the day with Destini drawing with these markers and comparing them with other markers I had. 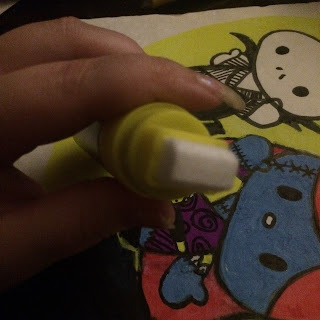 The colors of these markers are so opaque and gorgeous. With ones I had tried in the past the color was broken and not as solid as I would like it and some colors were horribly runny and not true to color. 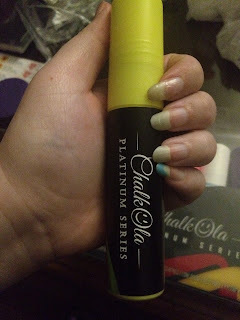 The only marker I had any problems with was the small black because it kept stopping and seemed to have dried and I had to re prime it again. I will say these are by far the best chalk markers I have ever used. I wanted to show how huge these markers were! I found holding it really lets you see how big this is! This tip is huge! Its really great for filling in background on drawings. I used the small ones on this and then used the large to fill in the sky and the moon. 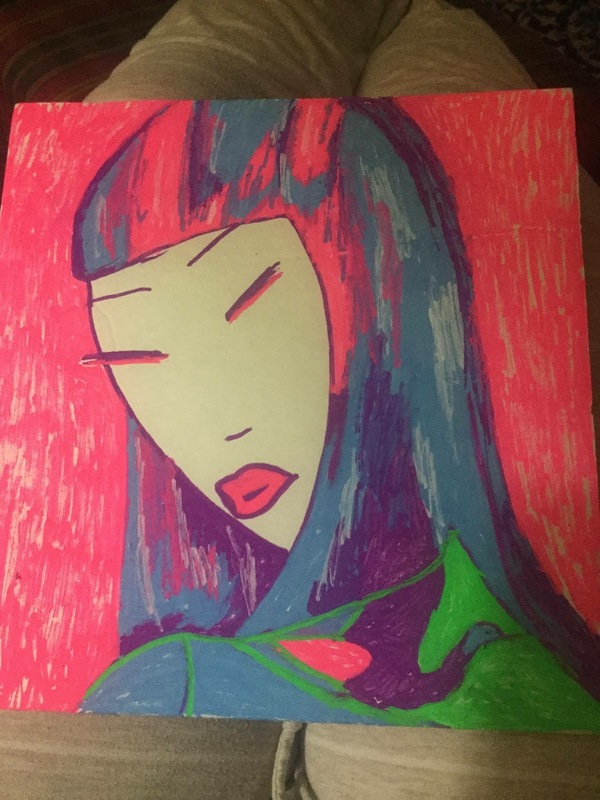 This was done by Destini using the small markers. I love this! 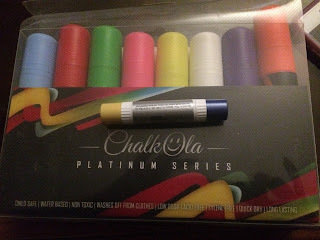 So far these are my favorite chalk markers!